Seven reasons why Tauranga-based financial consulting business Arbez stand out from the crowd. The past two years for Tauranga-based financial consulting business Arbez have proven to be an excellent start in the industry. The company’s rapid growth is credited to their core value of doing business differently than others. The name Arbez is simply ‘zebra’ spelled backwards, as like a zebra amongst the horses, they stand out from the crowd. ARBEZ Group founder and owner Alesana (Alex) Talopa’u explains seven reasons why Arbez stands out from the crowd. Pacific Specific- Arbez has been building on a model and now brings the newest approach to handling finances for Pacific by Pacific after ditching the old system that worked for only 3% of people. “We understand what Pacific people want and need because we are Pacific ourselves. The cultural aspects have been accounted for and built into this new model,” says Alex. Stronger Together- Pacific people have always worked and operated in a collective approach with the extended ‘aiga’. The hidden power in this collectiveness is now built into Arbez’s model for Pacific people. “This is not about one person, (ME) but a group of people (WE) coming together and creating a win-win situation for all,” explains Alex. 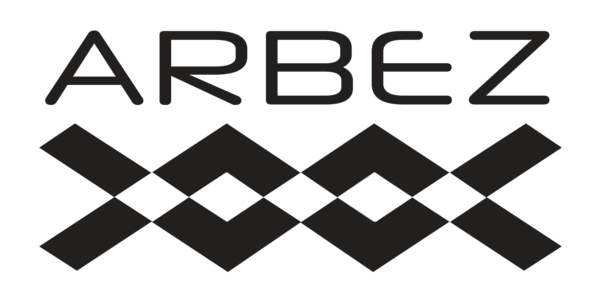 Building a Resourced Based Economy- Arbez has a philosophy that people are powerful together and amongst us there is more than enough resources already available to create wealth for everyone. The company can do more with less using the abundance of resources that are already available to us. Alex likens this approach to the miracle of the 5 loaves and 2 fish that fed 5000 men. The ‘26 Million Dollars within 12 Months’ Plan- This is specifically aimed towards Arbez’s Pasifika Homeownership Programme. The company aims to have their first 5000 members owning a home within the next 5 years. The only requirement is you must be a person with a desire to own a home. It’s that simple! Pasifika One-Stop Shop- The network Alex has built over the last 25 years in the industry is well equipped to serve you and assist with all your financial needs. Arbez is deeply passionate about their core value of “You + Us = WE”. Showing You How- Rather than telling you how, Arbez works with you and shows you the way until you achieve your goals. “You are doing this for yourself but not doing it by yourself. We are with you all the way,” believes Alex. Bringing Certainty to the Uncertain – The wide range of experts in the Arbez team and network enable the company to bring clarity and certainty to your uncertain financial situations in order to produce exceptional results. Winners of the ‘Start Up of the Year’ title at the 2018 Samoa Business Network Awards, ARBEZ Group is an expert financial consulting business based in Tauranga. Founded by Alesana (Alex) Talopa’u, the ARBEZ system is the new A to Z of financial success that is powered by a Resource Based Economy (RBE) model. With a wide range of free services; including financial, business and legal services, Arbez is your financial freedom warehouse.